Just in time for their move to TV here's one gem of a collection. It has all the hard to find short stories featuring Hap & Leonard, the most enjoyable mismatched pair of private eyes since Spenser and Hawk. Hap, blue-collar everyman who happens to be an amazing shooter and his Vietnam veteran, black and gay friend Leonard are presented here in short stories of varying length. They range from novella's to short flashbacks, vignettes and interviews. All are as fun as they are dark, gritty and violent. Think a seventies action movie if made by Seth Rogen. I was delighted to find the story Veil's Visit here, written by Joe Lansdale together with his friend Andrew Vachss (who I really respect), introducing us to a very cool fictional version of Vachss. 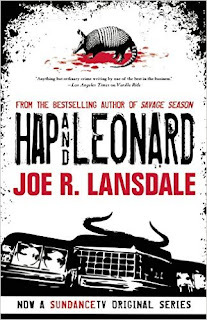 The Hap & Leonard series is always very enjoyable. 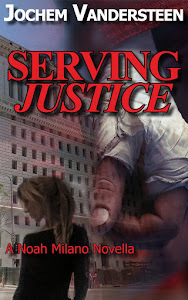 While these stories might lack some of the substance of the novels they are highly entertaining and sometimes disturbing. I hope the series and this anthology will draw a lot of people to this great characters.